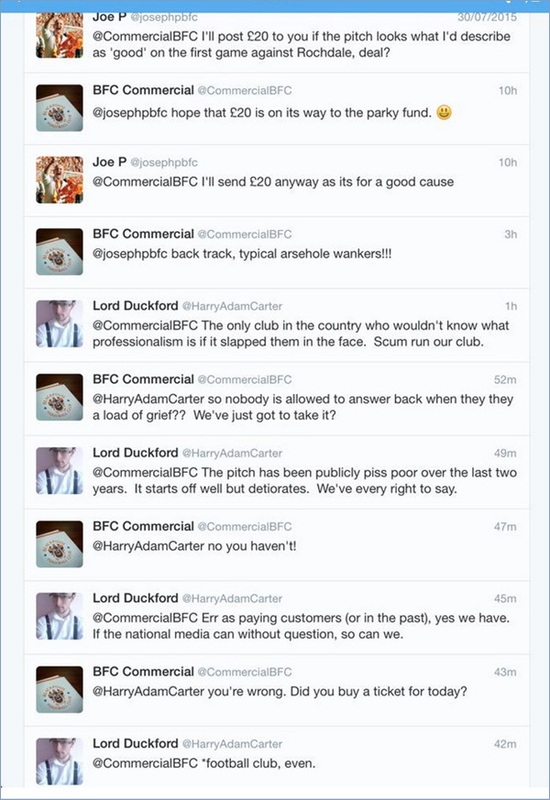 Blackpool FC have taken another huge stride into complete ludicracy after using one of their official Twitter accounts to call their fans, and we quote, “a***hole w**kers”. We’ll leave you to fill in the blanks. It all began when a Tangerines fan contacted @CommercialBFC and offered to donate £20 to charity if the notoriously threadbare Bloomfield Road pitch was in a playable condition by the first home game of the season against Rochdale. The account then replied, implying that the pitch was in good condition and that the £20 was on its way to the Gary Parkinson foundation. The fan then responded to say that he’d only be sending the money as it’s for a good cause. All fairly innocuous so far, no? Incredible, in the truest sense of the word. The @CommercialBFC account, which was set up to keep fans abreast of Blackpool’s commercial activities, has since been deleted. The club does not condone the views expressed and has since had the account removed. Astounding, though totally in-keeping with the current fan-club repartee at Blackpool these days. What a sorry state of affairs. The Premier League really was the worst thing that ever happened to the club. I do not know of any other “company” who does not keep access to official websites, whether they are Social media based or official private sites directly run by the company. This “statement” says nothing, there is no apology, only a statement of denial (something certain Oyston clan member(s) seem good at). This is another ridiculous farce, whether or not they condone the words directed at fans, or attribute the words to “a former employee”. I believe the responsibility lies directly at the door of the Oystons, as it is their responsibility to ensure their “official” social media sites are not implicated by the actions of current/former employees. 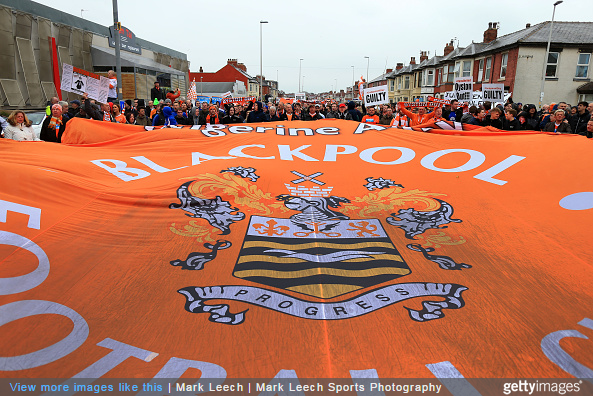 Oyston family PLEASE rescue the club, accept the BST bid and leave. This is the only way forward, as more fans will walk away whilst you remain at the helm. Indeed. This statement is a load of rubbish, or Blackpool’s IT guy/dept are completely inept. Either way, as OystensOut states the responsibility lies firmly with the club.